Eating oats for breakfast is probably your last choice especially when your mother serves spam, bacon, eggs & garlic rice on your table and preparing your own meal is too tiring the delicious greasy meal is right in front of you waiting to be devoured (hahaha). It’s somewhat boring and time consuming. Just like with my other two blog posts about different breakfast oatmeal recipes, you can easily make it delicious and fun to eat with some creative oatmeal recipe like this. 1. Thaw mixed berries (if frozen) or set aside fresh blueberries. Cut and dice avocado into bite size pieces. 2. Cook the whole rolled oats with 1/2 cup of almond milk in a pan for about 3-5 minutes or based on the cooking instructions. 3. Transfer the above cooked oats with almond milk to a serving bowl. Leave the mixture to cool for 2-3 minutes. 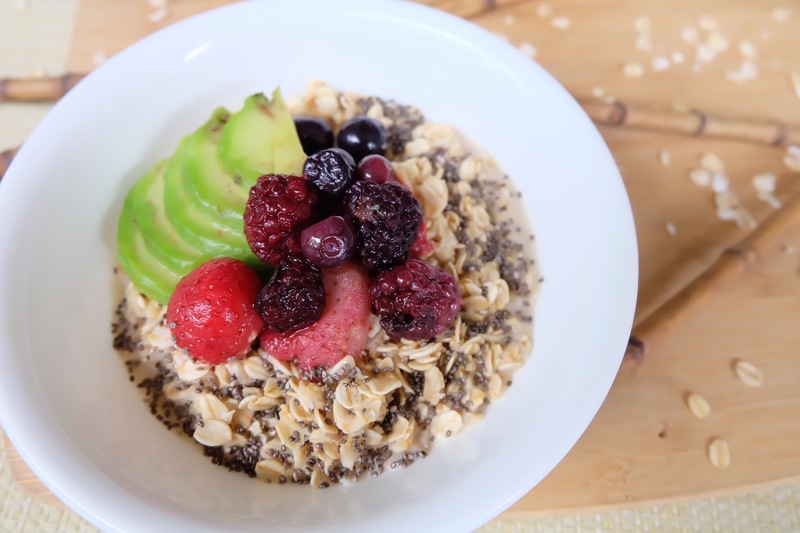 4.Now add your mixed berries & chopped avocado and chia seeds to the serving bowl with cooked Oats. Mix all the ingredients well. You can be as creative as possible by replacing some of the ingredients to your preferred ingredients. From regular almond milk to regular milk or yogurt and adding your favorite fruits in season. Follow me on Instagram: @chefbuano to check out my daily oats recipe featured on my IG stories. Do you like this recipe? Let me know by adding your comments below.